Buy Giorgio Armani AR6050sunglasses online today at a friendly price. Originally made in 2017, Giorgio Armani AR6050 sunglasses are lightweight metal frames. They are comfortable to wear and are designed in signature Giorgio Armani sunglasses frame style. Each pair of these authentic Giorgio Armani sunglasses ships worldwide with authenticity certificate, Giorgio Armani box, glasses case and a cleaning cloth. After the order is placed, sunglasses Giorgio Armani AR6050 will be packed and shipped to you via fastest shipping method to your location. Giorgio Armani AR6050 color 301071 is a color code for Giorgio Armani AR6050 pictured above. Please note that when buying eyeglasses online that were manufactured in more than one size, you need to be attentive, especially if you are buying eyeglasses frames for replacement. Prescription lenses from old frames will only fit when the size matches. Size is written on glasses temple or sometimes on inside the nose bridge. Size does not matter if you are buying Giorgio Armani AR6050 with prescription lenses. About Manufacturer Giorgio Armani is THE brand of eyeglasses. Back in 80’s Giorgio Armani made a revolution in accessory business taking the Armani brand to the best selling eyeglasses brand in the world. If you live in Canada or USA, you definitely know someone who owns Giorgio Armani glasses or sunglasses. Giorgio Armani sunglasses today is the hottest item to have among fashionable men. 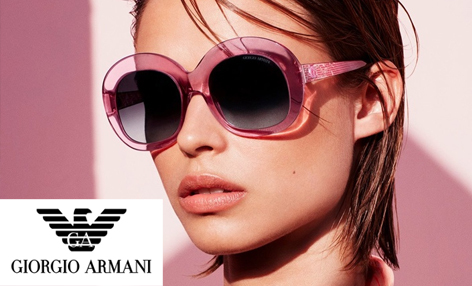 Just like Armani clothing, Giorgio Armani sunglasses are flawless with stunning simple designs that not only made to last for many years, also to remain relevant for many years to come. There are very few living designers who care so much about their reputation and consistency as Giorgio Armani. Buy Giorgio Armani glasses and sunglasses online from EyeInform website to be sure you are getting 100% authentic and new product. Add prescription lenses for your Giorgio Armani glasses frames order to complete your glasses purchase. You can also buy Giorgio Armani glasses frames without prescription lenses on EyeInform online glasses store.